BREWER, MAINE -- 02/15/2017 -- Shawn Toupin with Brewer Public Works clears snow from the sidewalks in Brewer on Wednesday morning. As plows pushed the massive amount of snow from the roads and driveways it created snowbanks in excess of 8 feet. 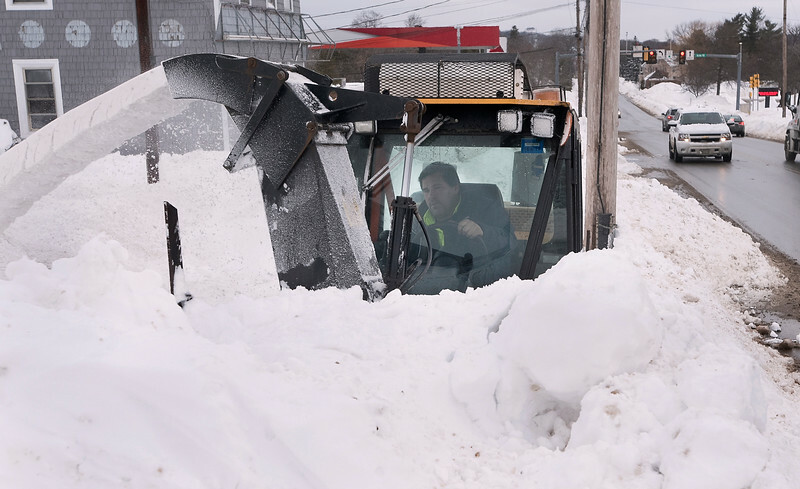 Toupin said that he struggled getting through some areas where the snow bank was taller than his machine.